Posted on June 14, 2018 at 4:04 pm. Quickspin’s ever-growing family of online pokies games welcomes a new member this month. Inspired by a much-loved fairytale that has graced storybooks for centuries and screens for decades, Dwarfs Gone Wild follows Snow White and her beardy buddies as they mine deep under the mountains in search of untold riches. Each of the seven dwarfs has special powers that can unlock big wins and unique gameplay features. The Golden Minecart Bonus gives the dwarf symbols extra value when free spins are triggered, while Snow White’s famous mirror can award extra games and up to 300 additional symbols. Detailed movie-style graphics and a classic 5×3 video slot layout complete what Quickspin describes as its “most ambitious game to date”. 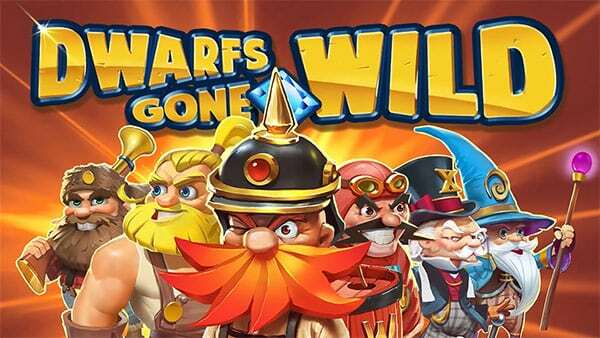 Dwarfs Gone Wild is live now at SlotsMillion.com – the best real money pokies casino on the World Wide Web.